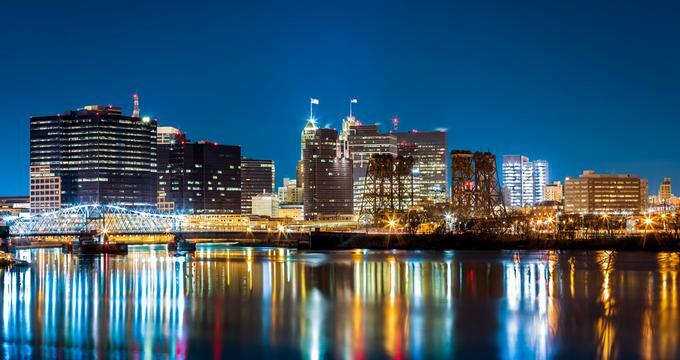 From great museums, scenic parks and excellent restaurants to sports, theater and music, Newark, NJ, offers plenty to see and do. Visit the largest museum in New Jersey, walk along the river in Newark Riverfront Park, explore the historic Ironbound neighborhood, and listen to a symphony performance. Our list includes great restaurants and cafes serving delicious breakfast, lunch and dinner with flavors from around the world, including burgers, sushi, steaks and BBQ. Here are the best things to do in Newark NJ. 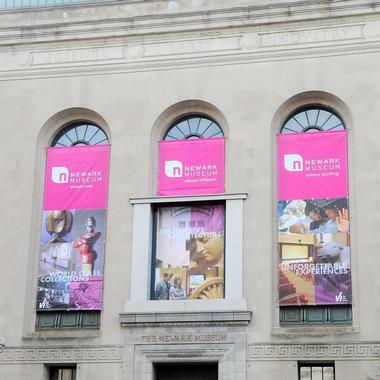 Established in 1909, the Newark Museum is the largest museum in New Jersey and houses a collection of global art and natural science exhibits. Located on Washington Street in downtown Newark, its collection includes works of ancient art, contemporary art, and decorative art from all over the world. Its Tibetan galleries contain a Buddhist altar consecrated by the Dalai Lama, and its Tibetan collection is regarded as one of the best in the world. If you are looking for things to do in Newark, New Jersey for art lovers, this is a great place to visit. In addition to the artwork, the museum is devoted to the natural sciences. The Victoria Hall of Science displays some of the museum’s 70,000 specimens, and there is also a planetarium. Located on Brill Street on the south side of the Passaic River, Newark's Riverfront Park is a popular park that links the Ironbound area of Newark with the river. Because Newark has few green spaces, the Newark Riverfront Park is particularly enjoyable for people from the Ironbound neighborhood and other parts of the city, as well as people from outside of Newark. If you are wondering what to do in Newark today, the Riverfront Park is a great place to start exploring. Many people come to the park just to enjoy a walk along the river, but the park also hosts many events and activities such as yoga and Zumba classes. Supported by the Trust for Public Land, the park has a mission of connecting people with the river and to promote physical health and environmental awareness. More weekend ideas: 23 Beautiful Weekend Getaways in New Jersey. The New Jersey Performing Arts Center, located on Center Street in downtown Newark, is the home of the New Jersey Symphony Orchestra. The Center has played a significant role in the revitalization of Newark. Opened in 1997 on the site of the former Military Park Hotel, the Center is situated in the middle of Newark’s cultural district along with the Newark Museum, the Newark Public Library, and the New Jersey Historical Society. If you are looking for romantic date night ideas in Newark, the New Jersey Performing Arts Center is a great place to visit. The center is one of the largest performing arts centers in the U.S., and its arts education program is also one of the largest in the U.S. The center offers residencies, scholarships, and arts training classes to help students learn about dance, music, poetry, and theater. Ironbound is a four square mile neighborhood in Newark that is roughly bordered by the Passaic River to the north, Chapel Street and Manufacturers Place to the east, Route 1 to the southeast, Delancy and Malvern Streets to the southwest, and McCarter Highway to the west. The neighborhood is made up of a multi-ethnic, close-knit working class community, and it is home to many shops and more than 170 restaurants. Ironbound is located close to Newark’s central business district with its captivating sights, and it is also close to several forms of public transportation: Newark’s Penn Station is the gateway to the Ironbound neighborhood. Ironbound hosts many festivals and other events throughout the year. Located on Lafayette Street in the central business district of Newark, the Prudential Center is a large multi-purpose indoor arena. Opened in 2007, the Center regularly accommodates an audience of over 17,000 people for hockey games and over 18,000 people for basketball games. The Center is the home of the National Hockey League’s New Jersey Devils as well as the NCAA’s Seton Hall Pirates. 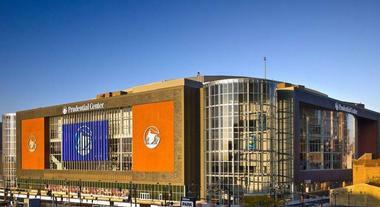 Nicknamed “The Rock,” the Prudential Center hosts music concerts as well as special events such as Disney on Ice. The Restaurant at Prudential Center features American food and drinks. The Center has been an important part of the revitalization of downtown Newark and is close to public transportation. Nasto’s has been tantalizing the taste buds of Newark residents since 1939, when Frank started his homemade Italian ice cream store on the corner of Jefferson Street in a building that used to be a brewery. Wide-eyed kids line up to watch the gelato being made. Today, people come to Nasto’s for his decadent Tortoni, Spumoni, Tiramisu, Tartufo, Reginetta, and so many different kinds of ice creams, sorbets, and gelatos. 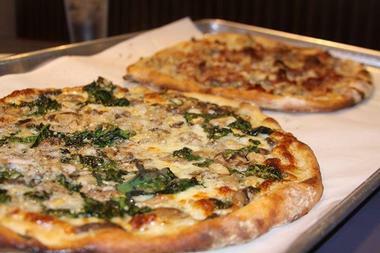 The recipes come from Frank’s native Nocera in Italy, and the ingredients are all local and fresh. Fortunately, you don’t even have to line up in front of the store any more; they deliver and ship nationwide. 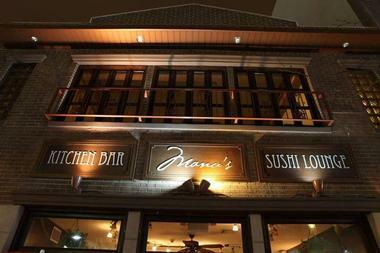 Located in a beautiful old building in the historical and predominantly Spanish and Portuguese community of Ironbound, Manu's brings something new to the dining scene. Introducing Italian dishes and tapas to the predominantly sushi and sashimi menu is risky, but the patrons are absolutely enthralled. The two-level dining room is beautiful, elegant, and usually packed, especially on nights with live music. There are now even a few sidewalk tables. If you are curious about what they call the “Mediterranean-sushi fusion,” you might want to try Portuguese chorizo soaked in sake served with grilled char. To try “fusing,” you get sushi or sashimi and then order something Mediterranean from the tapas menu. Located on Clifton Avenue between the neighborhoods of Forest Hill and Roseville, Branch Brook Park is the largest public park in Newark. The first county park in the U.S., Branch Brook Park was established in 1895 by the Essex County Parks Commission. Situated on 360 acres, the park is famous for its many cherry blossom trees. There are more than 4,300 trees in the area of the park called Cherryblossomland, and the park hosts a Cherry Blossom Festival every April. In addition to the trees, there are lakes, bridges, and sculptures. The Branch Brook Park Roller Skating Center features live DJs, a game area, and a cafe, and it is a popular place for events like birthday parties. 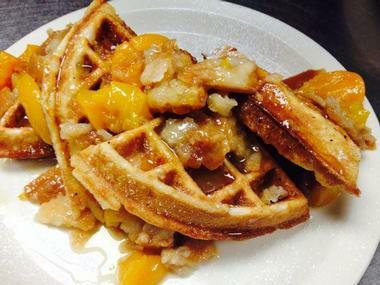 You may also like: 12 Must-Try Jersey City Lunch & Dinner Spots. Nico Kitchen and Bar is an enormous restaurant in the New Jersey Performing Arts Center. Its dining room can fit 185 people and 50 more can sit at the bar. On show nights and oftentimes during lunch hour, the restaurant is absolutely packed. It is an elegant place, with spacious, private boots. High ceiling makes the dining room look even larger, but the soft earthy color scheme and comfortable seating make it feel cozy. Consulting Chef DePersio serves polished Italian food that isn’t at all pretentious. People flock to this restaurant to try his Mascarpone Polenta Fries. Check out the dessert special of the day; their pastry chef is an absolute magician. Military Park is a triangle shaped park located between Broad Street, Park Place, and Rector Street. The six acre city park was a training area for soldiers from 1667 to 1869 when it became the town commons. There is a large war memorial called the “Wars of America” in the southwestern part of the park. 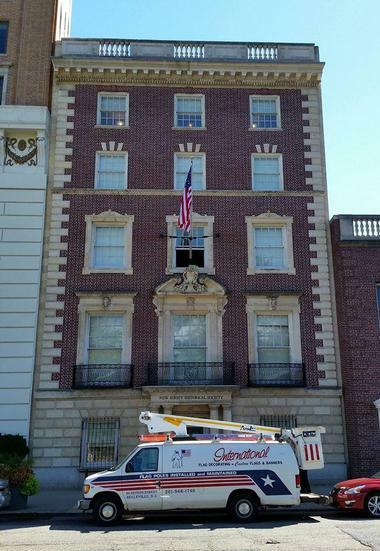 Located on Park Place across the street from Military Park, the New Jersey Historical Society is a museum that is housed in the former home of the Essex Club, a 1926 Georgian style building that is listed on the U.S. National Register of Historic Places. The Historical Society space is made up of two floors of exhibits, a hall for lectures, a gift shop, and a library reading room. Founded in 1845, the Society offers Newark walking tours and publishes the New Jersey History, a renowned academic journal. Interactive tutorials are available for students who want to learn how to use the Society’s collections. The owner and chef of Vonda’s Kitchen, Vonda McPherson, gave herself a specific challenge: she wanted to make soul food healthy. The patrons of her modern establishment in Newark were suspicious at first, but she managed to win them over. The portions of the classic dishes are generous, and everything tastes delicious, the cuisine but much lighter and healthier than traditional Southern comfort food. Vonda works with local growers to ensure that all her ingredients are fresh and seasonal. Besides a massive burger dripping with barbecue sauce and covered with cheddar cheese and onions, you can also find a turkey and veggie burger on the menu. Located in a beautiful and timeless building on Market Street in the heart of Newark, Mercato Tomato Pie has been making their fabulous thin crust pizzas for more than 50 years. You will see one of the main components necessary for making a great pizza as soon as you walk in the door: a giant artisanal oven, fired by charcoal, that sits smack dab in the center of the restaurant for all to see. Watching skilled staff throw pizzas in the air is all part of the experience, but the best part is without a doubt tasting the pies. With tomatoes fresh from the farm, handmade cheeses, pepperoni and sausages absolutely delicious, and every imaginable topping available, you are sure to find the pizza you’ve always wanted. The menu has other tasty features such as salads and pastas, but the star of the show is definitely the pizza. Be sure to get something to drink to go with your meal. The bar is well stocked and has some nice cocktails and beers on tap. 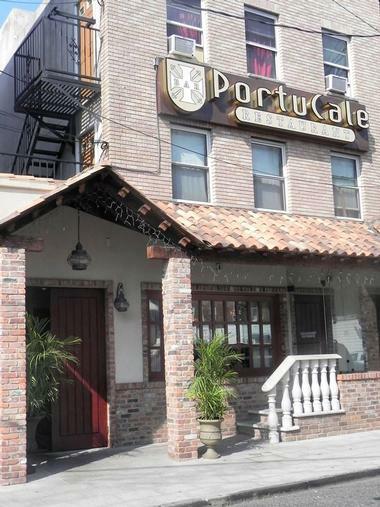 PortuCale Restaurant is a delicious family-owned restaurant and bar in Newark serving up authentic Portuguese food in a Mediterranean-style atmosphere. The restaurant offers indoor and outdoor seating, including a lovely patio area that allows patrons to smoke high-quality imported cigars for purchase at the restaurant's bar. Delectable land and sea dinner specialties include charcoal-grilled meat dishes prepared with fine ingredients sourced throughout the world, including Asian, African, and Indian fusion influences. An impressive wine menu focuses on fine Portuguese, Spanish, Italian, and Californian wines, with sangria available by the pitcher or by the glass. Unique bar appetizers are available at happy hour, including flamed Portuguese sausage, crab meat-stuffed clams, and codfish pastries. Founded in 1922, the New Jersey Symphony Orchestra is an American symphony orchestra and the state orchestra of New Jersey. 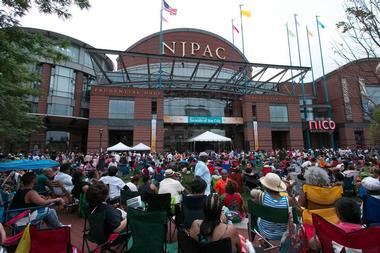 The resident orchestra of the New Jersey Performing Arts Center, the symphony performs at six venues in New Jersey including Princeton University and Englewood’s Bergen Performing Arts Center. 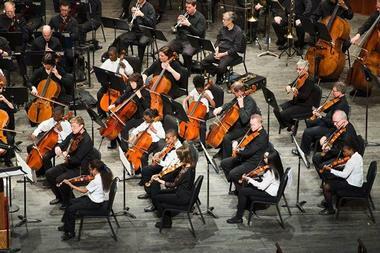 The orchestra also performs summer concerts at various venues and festivals around the state. As a part of its Resources for Education and Community Harmony (REACH) program, small groups of musicians from the symphony perform chamber works around New Jersey. Another educational program is the New Jersey Symphony Orchestra Academy, which gives students opportunities to grow musically through partnerships between schools and the orchestra. 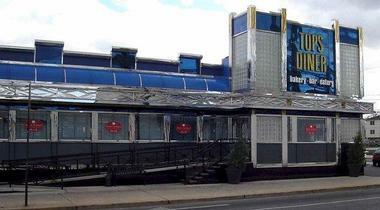 Fernandes Steak House is located in a former bank on Fleming Street in the heart of Ironbound, the Portuguese and Spanish neighborhood. The restaurant is large and so are its furnishings: large tables seat huge families and there are two floors filled with elegant décor, including white table clothes and gleaming china. And then comes the meat - huge amounts of meat. The most popular dish is Brazilian rodizo: large chunks of meat on huge skewers, rubbed with garlic and salt, and then grilled on a charcoal grill. The kitchen is located in an open area, so you can watch it all the action. The portions are so huge that there is a “no doggy bag and no sharing” policy. You go to this restaurant expecting to leave satisfied. While they have very good fish and seafood selection, Fernandes is a true carnivores’ delight, as their meat has made this restaurant famous. 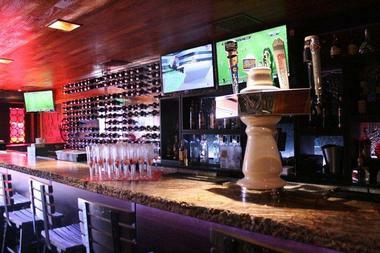 Mompou Tapas Wine Bar and Lounge is hip and trendy, and it’s busy even on weekday nights. It’s a great place to go for real Spanish tapas. Today, so many people are serving tapas that we sometimes forget how real tapas should taste. And what you get at Mompou is not your run-of-the-mill traditional tapas. Their tapas are quirky and innovative and delicious. Try Tortilla Herminia, a local favorite. It is made with potatoes, spinach, and onions, and it is smothered with cream sauce made from Cabrales blue cheese. 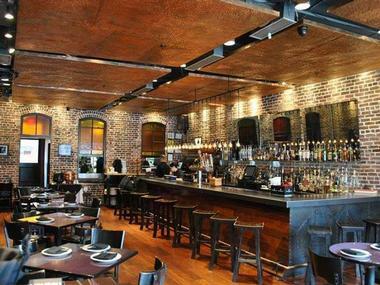 The excellent food and the lovely ambience of the restaurant with its exposed brick walls and copper ceilings create a dynamite dining experience. There are eight beers on tap from the best microbreweries, 30 kinds of bottled beer, and 100 kinds of wine, with some really fine vintages from Spain. Their sangria is also very good. 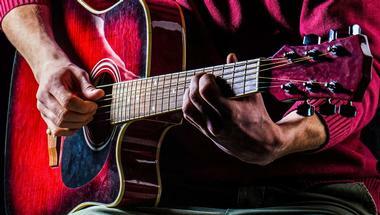 On some nights, you can enjoy live music. Adega, the Portuguese word for wine cellar, makes you feel as though you have stepped into a very posh, expensive wine cellar somewhere in Spain or Portugal. Exposed brick walls, arches, huge stone fireplaces, wrought iron gates that lead to the cellar, and luxurious sofas create an intimate and engaging atmosphere. Soft piano music adds to the subtle vibe. The food is exquisite, and it is a mix of Spanish and Portuguese influences with a focus on fish, seafood, and organic meats. All produce is seasonal, local, and fresh. Try the superb Bacalhau a Adega Grill – pan-fried cod covered with tomato sauce, shrimps, sautéed onions, green peppers and Spanish sausage. The portions are generous, the chef’s specials are always divine, and there are 180 kinds of wine to pair with your food selection. If you cannot find anything to eat at Tops Diner, then you are not hungry. The menu, thick as a phone book, has 300 items on it, and 14 of them are cheesecakes! Tops is the kind of diner you want in your own neighborhood, so that you could eat there all the time. Tops has plenty of regulars, but there are many people who come from all over to taste their legendary burgers, pot pies, ribs, and, of course, cheesecakes. The décor is unassuming, and the atmosphere is bustling and cheerful. The food is simply superb, and the restaurant continues to win awards. It’s also nice to be treated like a part of the family – the service is absolutely superb. Dinosaur BBQ is a well-known national chain of Southern barbecue restaurants started by three Syracuse bikers in 1988. Its Newark venue is located in the celebrated Roehlich & Kohler Spirits & Fine Wines building, whose construction finished in 1890. The building underwent many renovations and was even a boxing club once. Today, people go there for their finger licking, sauce-smothered, slow smoked, and barbecued meats. Their Roasted Garlic and Honey sauce has been voted one of the best in the country and is sold nationwide. Breads come from the neighborhood Teixeira's Portuguese bakery, and the ribs are meticulously prepared. First they are dry rubbed, then slowly pit-smoked, and then glazed with the restaurant’s original sauce and barbecued. People tend to linger at Dinosaur because the atmosphere is fun and relaxed.